“Lighter fluid”. That’s the way I used to describe grappa. Between getting better stuff and my taste developing, I’ve come to really love it. If anyone is at a loss of what to buy me for a birthday or Christmas present there is always that answer. I really don’t know why it should be expensive but it is and it’s definitely worth getting something that costs a few dollars more. Otherwise you may have the urge to use it to start the charcoal on the barbie. In some ways it’s part of the Italian genius for making do (what is the italian word/phrase for this?) with what meager ingredients are at hand. If you were a contadino (farmer) who grows and presses grapes to make your own wine, then after you press the grapes there’s all this stuff left over after you pour off the grape juice. It’s basically the seeds, stems and peels from the grapes. It is important to then separate the stems and seeds from what remains. You might ask why but of course I’m going to tell you anyway. 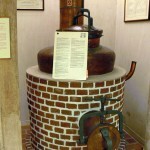 If the woody stems and seeds are fermented along with the rest, the pomace, then the distillation process will then produce wood alcohol as part of the mix, which is poisonous. 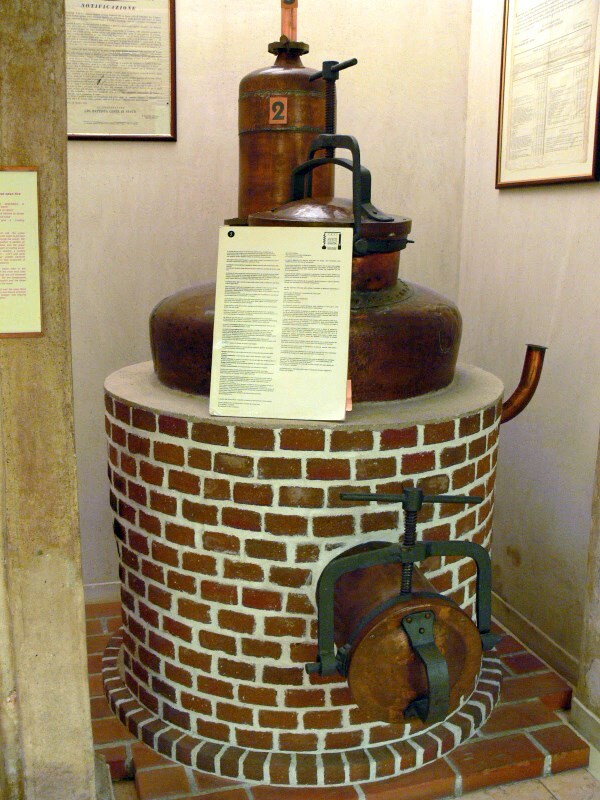 Italy finally made a law requiring farmers to sell their pomace to grappa makers because so many of them were killing themselves off. 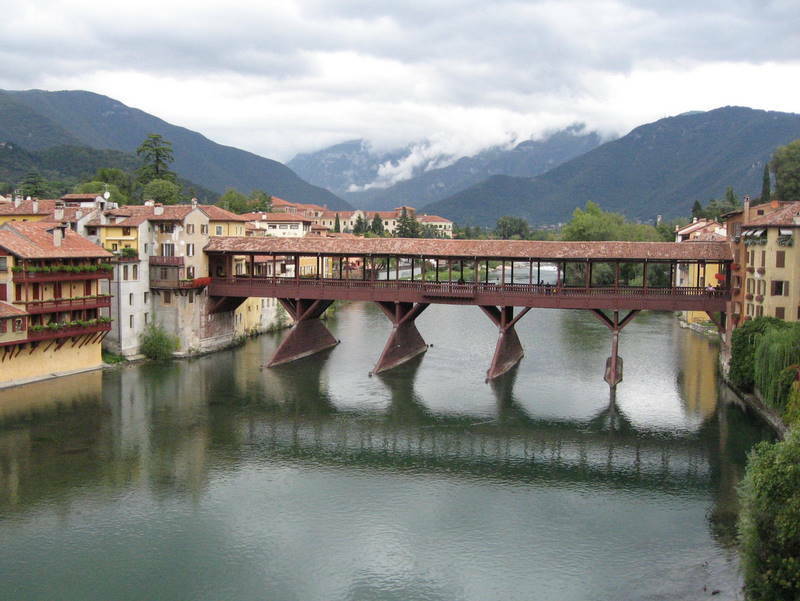 When the lovely D and I traveled to the Veneto we made a pilgrimage to the mother lode of grappa – Bassano del Grappa. It’s a truly beautiful place on it’s own and worth a visit regardless of any lust for grappa. 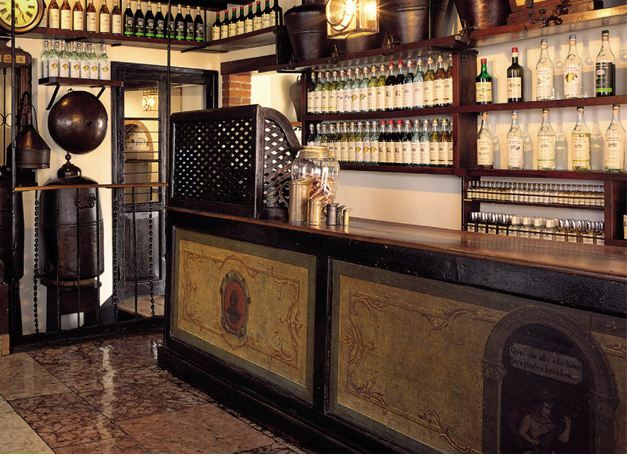 A fellow by the name of Nardini started making grappa here in 1779 and they’re still at it – probably in the same place. Visiting their tasting room just at the end of the magnificent wooden bridge was quite a trip. I didn’t have good sense enough to take photos of the room, perhaps it had something to do with the grappa that was not very expensive there. You could tell this because of the locals hanging around and doing grappa shots. So of course I snagged some from their website. They must have gone through quite a thorough cleaning before doing the photos for their website because it was much more, well, earthy is probably the right word. My kind of place. 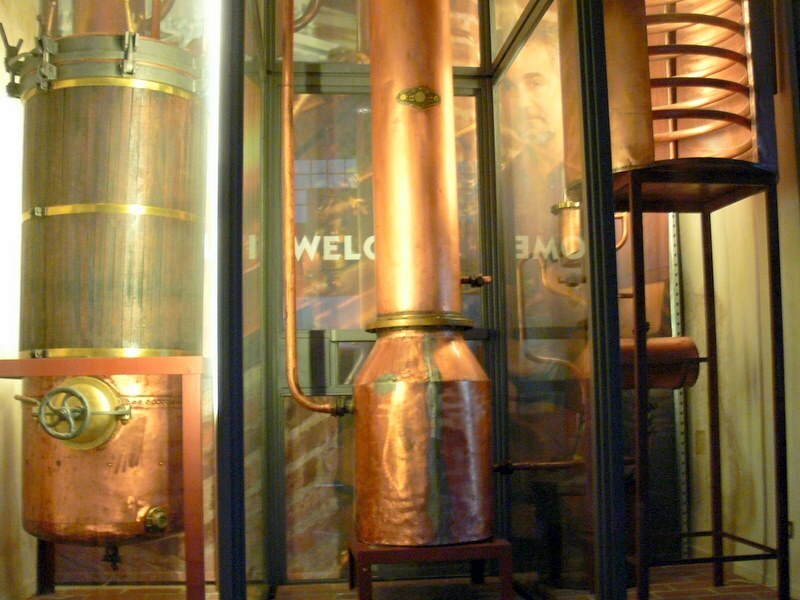 We also visited the Poli Museo Della Grappa where the Jacopo Poli folks have made quite a high style environment to show the history of grappa and Jacopo Poli history in particular. 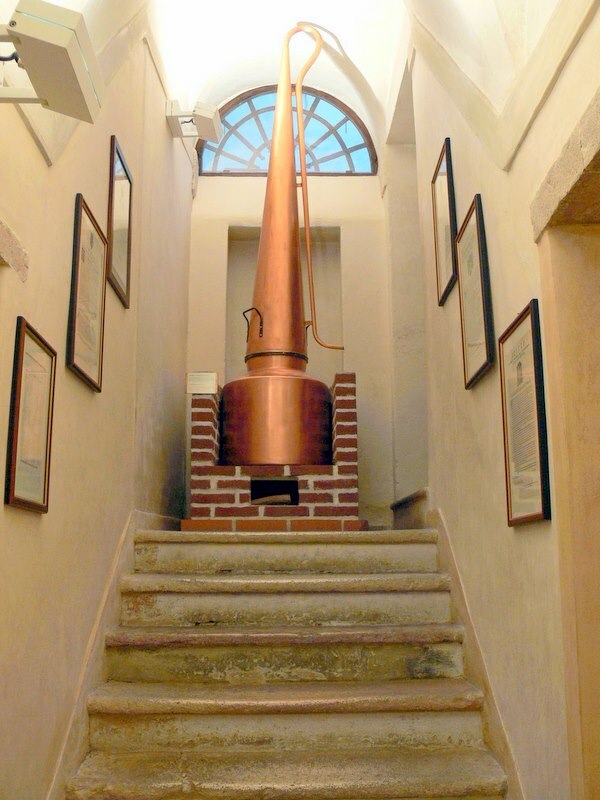 They showed a variety of early grappa stills and other little bits of history and, naturally, we tasted and bought a bottle of their fine product. It’s a good thing that we were taking the train back to Padova! It is a beautiful place as well but my heart belongs to Nardini. Now that still is a real beauty. So don’t be shy, give that grappa a try! My friends that live near Frankfurt certainly are not shy about their taste for grappa as you can see in the photo below. By the way the French make this stuff too, but call it marc. They have not elevated it almost to the art form as you find in Italy. 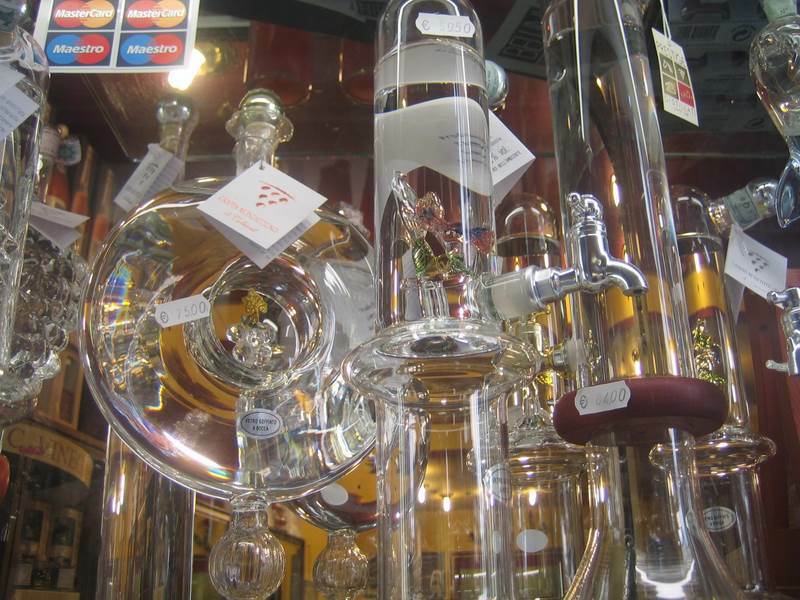 The extend it from the liquid itself to very special bottles. At almost every store that sells any kind of alcohol you will see quite fanciful bottles like those in the photos below. 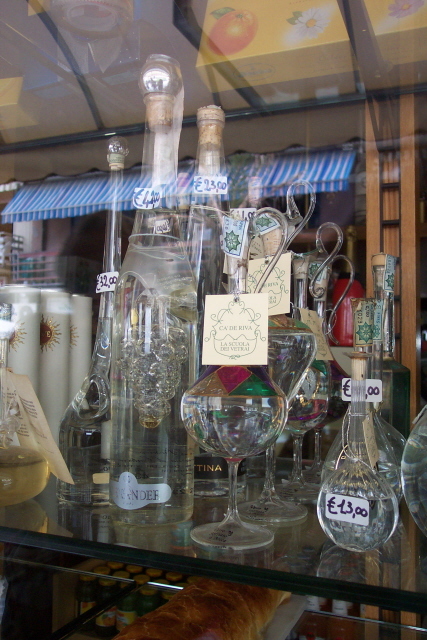 By the way, while at Nardini we bought a bottle of the Riserva Grappa which was terrific. I have yet to see it in this country but if anyone has a clue about where I could buy some I would be eternally grateful. 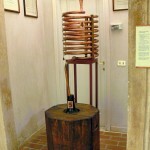 You can take a look at the Nardini website here and the Jacopo Poli one here. 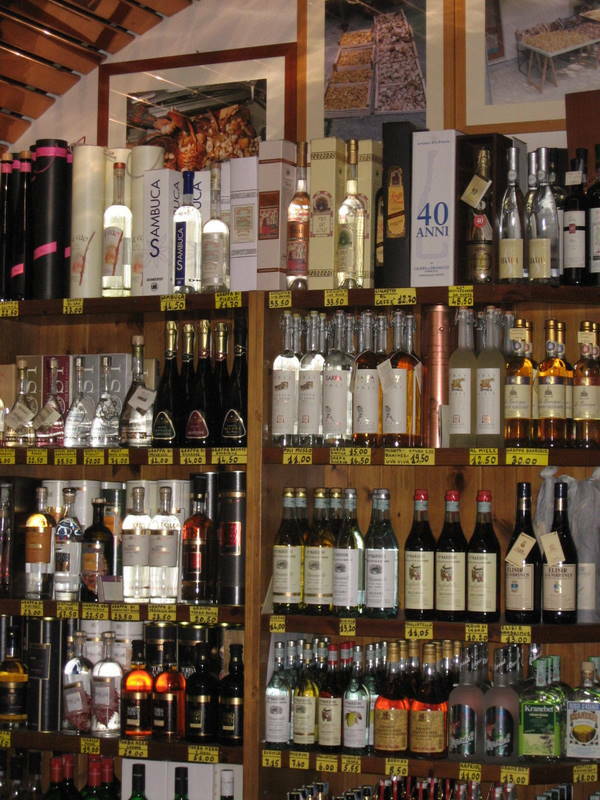 Any opinions about grappa or any other Italian alcohol specialties? This entry was posted on Thursday, September 30th, 2010 at 8:09 am	and is filed under Food, Travel. You can follow any responses to this entry through the RSS 2.0 feed. You can leave a response, or trackback from your own site. This stuff looks a-peeling! Can we meet somewhere around town to try some? Not a bad idea. This stuff tends to be darned expensive at bars given the horrendous markup exhibited in bars. 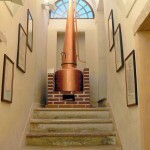 However I’m planning to buy a bottle soon and if you want to, ahem, chip in then casa Giuseppe would be a nice choice. We can talk outside the blog about the details. 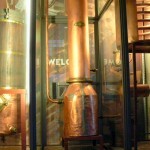 As I understand the first part of the post, Grappa is a bit of an acquired taste? For me, I’m not sure I would live through the process! I tried a little again last night – Ugh! I’m afraid I still prefer the vino. Or limoncello. Or sambuca. Or… you get the picture! I’m still in Genova today. There was a “grande tempesta” and much flooding, closed roads, etc. I couldn’t get anywhere near any of the train stations!! 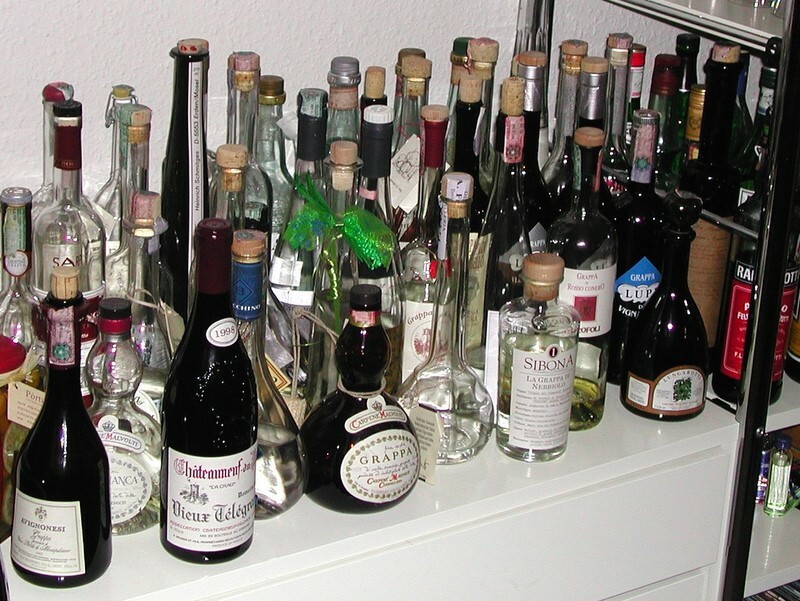 Well, yes, grappa is a bit of an acquired taste. If course I like other kindred spirits like vodka, gin, etc. It’s definitely a sipping kind of drink. In any case, of course, we drink what we like. I have a problem with ouzo, that greek firewater. You are having some difficulties with the start of your trip I hope that you took an umbrella with you and that being in Genova makes up for some of the inconveniences plaguing you. 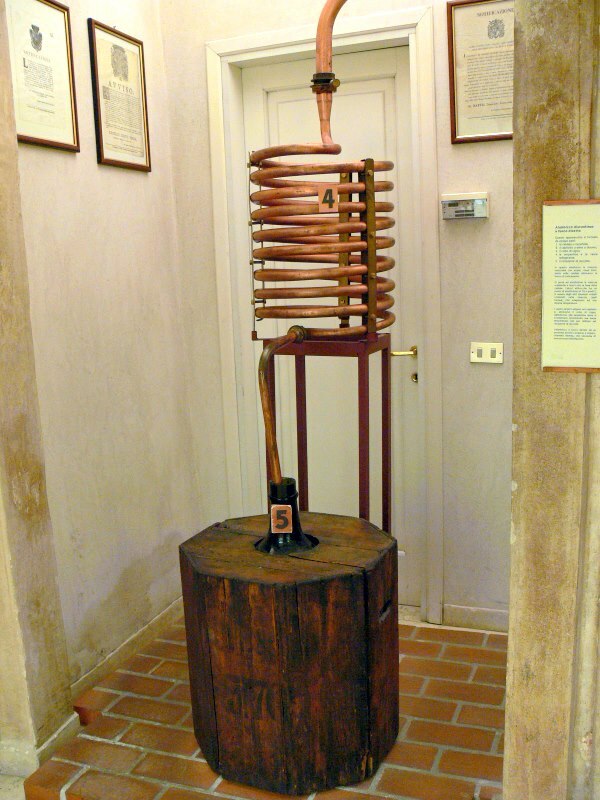 As far as the grappa, should you give it another try and ask for the grappa “morbido” (smooth) or anything made by Jacopo Poli. 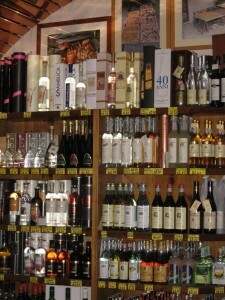 Yes, I’m sure I will give the grappa another try. When it is offered I always think perhaps this one’s better. But next time I’ll ask about grappa “morbido” as you suggest. When I travel it is easier for me to take everything in stride and summon patience that mia marito e figli would be shocked to see (patience is tougher for me at home – it’s odd). I have to admit, though, that the trip to get here did certainly challenge that ability. But you are right, being in Genova does help. The flooding was apparently worse even than it appeared as we tried to make our way through town, according to il giornale. And it is raining again, with strong winds. (It reminds me a bit of recent US weather events…) I will try to post video shortly if I can find some. Isn’t it always true that patience is easier when traveling than at home? From what you said about your travels it must have been REALLY difficult to maintain a decent attitude during the trip. Brava!